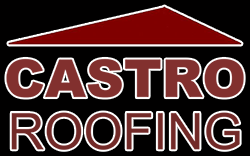 Castro Roofing > Blog > Castro > Most people do not know if their roof needs to be replaced or repaired. Most people do not know if their roof needs to be replaced or repaired. Depending on the installation and materials, a professional roofing job should last 25-30 years. Many roofs age prematurely or leak due to improper nailing, flashing not done properly or insufficient ventilation. Castro Roofing services the following cities: McAllen, Edinburg, Mission, Pharr, San Juan, Alamo, Donna, Weslaco, Mercedes, La Feria, Harlingen, Penitas, Sharyland, Palmview, Palmhurst, and Alton. Copyright © 2019 Castro Roofing. All rights reserved.